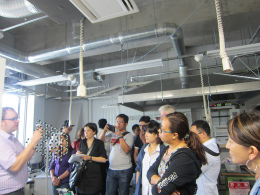 To coincide with the World Conference of Science Journalists (WCSJ2015) in Seoul, the Japanese Association of Science & Technology Journalists (JASTJ) held post-conference tours from June 11 to 13. 27 science journalists from 19 countries visited Japan. 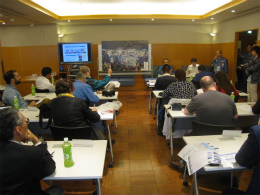 These tours were planned to provide journalists participating in WCSJ2015 with an opportunity to report on Japan. The FPCJ ran this program under commission from JASTJ. 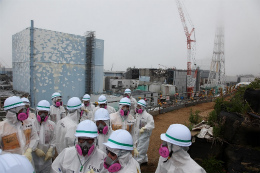 There were 14 journalists that participated in the Fukushima tour. 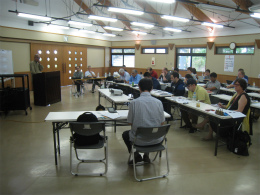 In addition to visiting the Fukushima Daiichi Nuclear Power Plant, the journalists also had the chance to speak with experts and locals in Miharu Town, Fukushima. 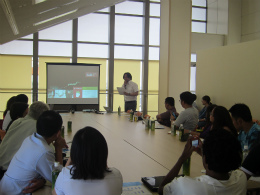 For the Kyushu tour, 13 journalists participated. 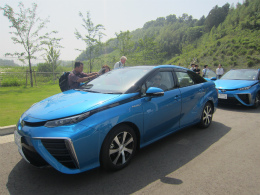 After listening to a lecture from experts on data journalism, the tour covered development of fuel cells towards a hydrogen-based society at Next-Generation Fuel Cell Research Center, Kyushu University, and Hydrogen Energy Test and Research Center. The following day, the tour visited Miike Coal Mine and Miike Port, which are planned to be added to the World Heritage List.